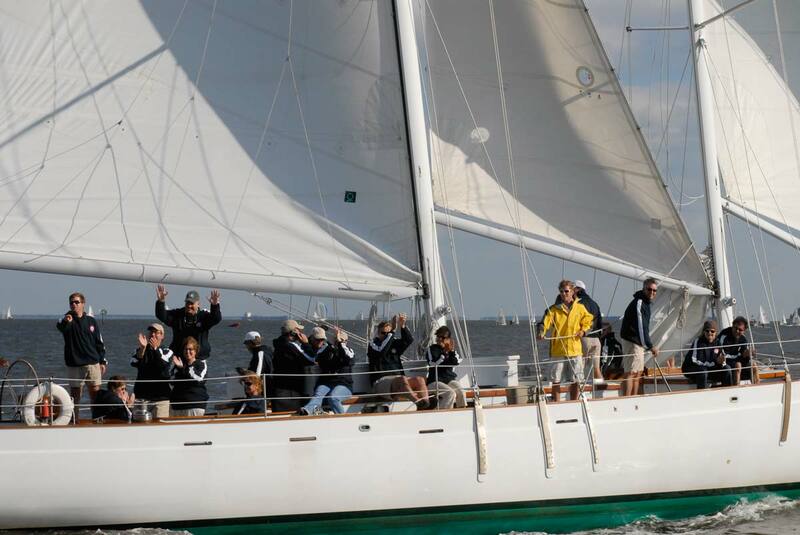 “Woodwind” sails up to four times daily on 90 minute cruises from temporary docks throughout the Sailboat Show October 4th – 8th, 2018 from Dock “F2”. Combo-Ticket Deal! Save up to a 40% discount off your ticket into the Boat Show by buying a 90 minute schooner cruise combined with your Sailboat Show Ticket. 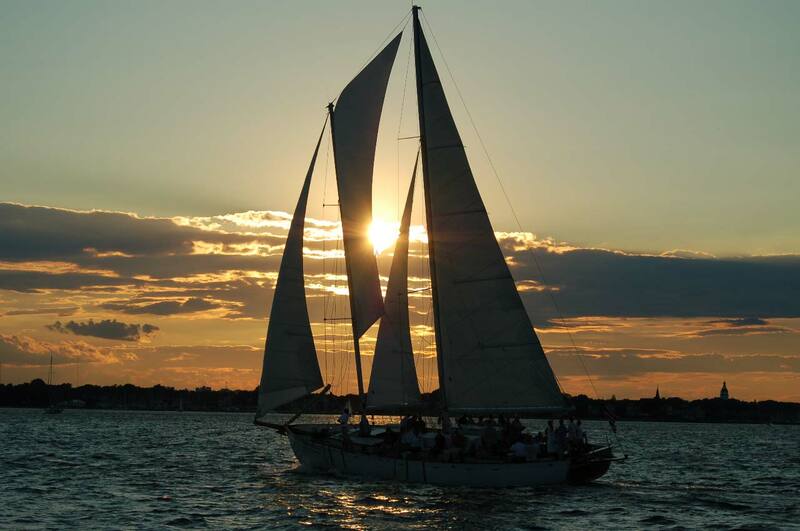 What is the Sailboat Boat Show? 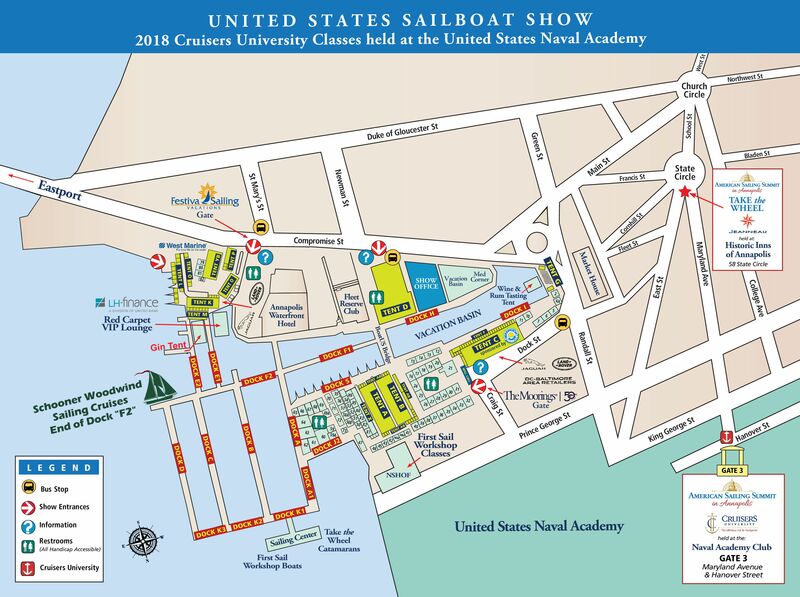 Sailing Tickets can be bought online (see below) or directly from the booth in the Sailboat Show. For all cruises, you must have a ticket into the show, so all sailing cruise tickets include discounted Boat Show admission. Already bought your ticket for Boat Show? We will give you a discount by entering in your boat show ticket number below. Let our captain and crew make your trip most enjoyable and memorable. 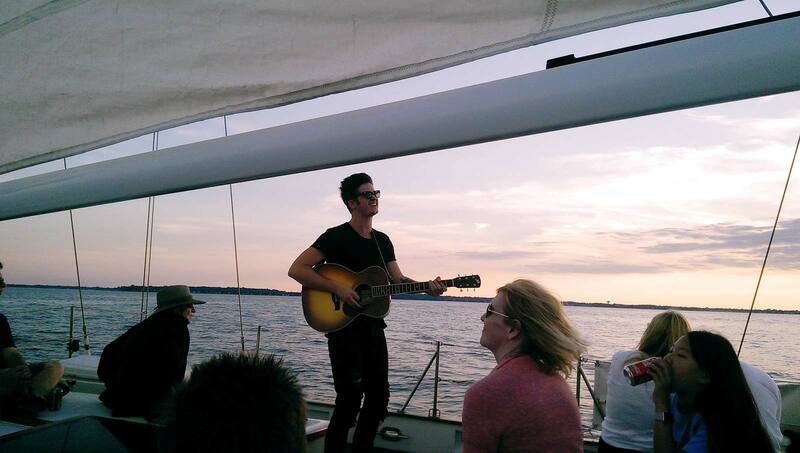 Help hoist the sails (all 4 of them) or take a turn at the wheel. Our cash bar is stocked with wine and beer, including a nice selection of local craft beers, sparkling wine, soda, water and bagged snacks (like pretzels and potato chips). Already have your Boat Show Admission Tickets? 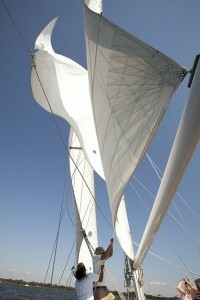 Click here and we will sell you “Sail Only” tickets as long as you provide your Boat Show Ticket Number. Come for the full day to enjoy the show, not just your cruise portion. Wear soft soled shoes and layered clothing. This is also a great place to get good deals on raincoats, sunglasses, portable coolers, books, calendars and so much more. List of Exhibitors & Vendors can be found by clicking here. This is a big event in the city of Annapolis. Some parking lots are not used for parking due to the Boat Show. Click here for parking and shuttle information! Print out your Discounted Boat Show Admission Ticket OR have it available on your phone so the Gate Attendants can scan your ticket. 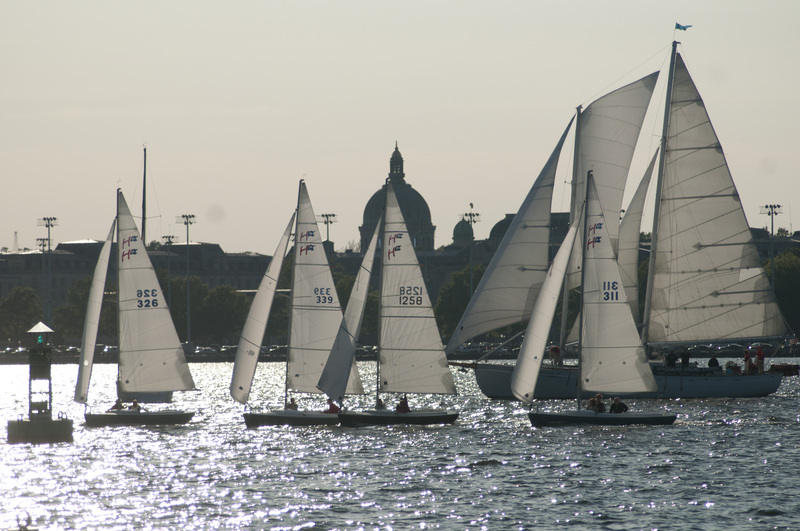 The closest entrance to the Woodwind Sailing Cruises will be the gate to the right of the Annapolis Waterfront Hotel. 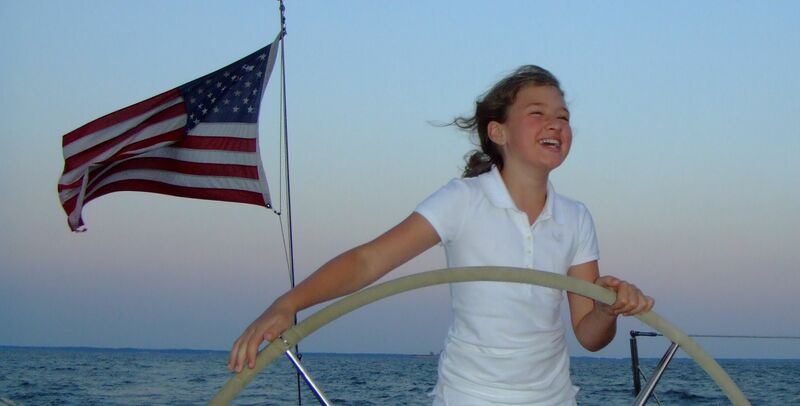 You will get your Discounted Boat Show Admission Ticket separately from the confirmation of your sailing ticket. Admission Tickets will be sent under a different email no later than 8 am the day of your cruise. 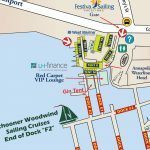 For sailing on the Woodwind, go to “F2” Dock, we are near where you would get a Water taxi to the Brokerage Show. We board 10-15 minutes prior to sail. No telephone purchases during the Boat Show. Cash or Credit Card only.